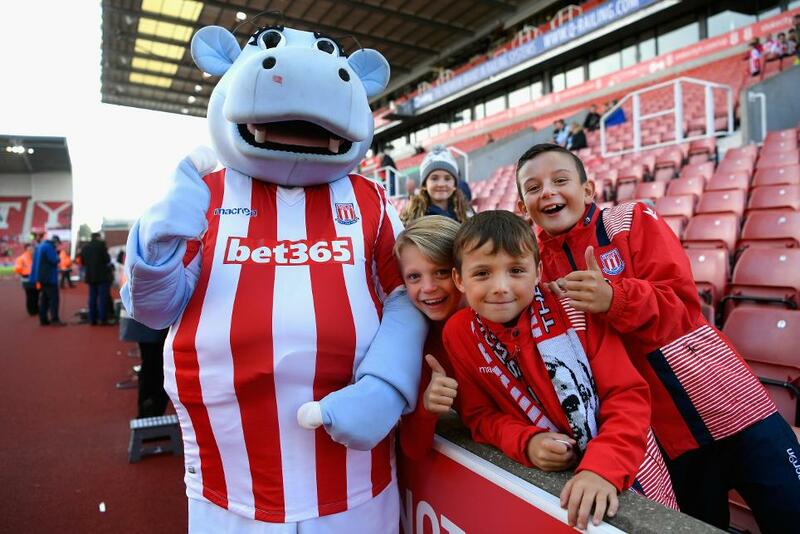 "Keeping football at the bet365 Stadium as affordable as possible has been our aim ever since Stoke City secured a place in the Premier League… and it will continue to be so. "As a club, we are firm believers that price should never be the reason why supporters turn their backs on attending home games, especially in a day and age when fans are finding the cash in their pockets may not go as far as it used to. "That's why we have held our Early Bird season cards prices at the same level since winning promotion in 2008. "As a result, the bet365 Stadium was 99% full last season and 97% full in our first seven seasons in the Premier League! "We're proud of the fact that 25% of our crowd is under the age of 21 as they will undoubtedly be our support base of the future. "We have worked hard with our local community to make it easier for young people to attend our home games." "We're optimistic for the future of the club but it hasn't always been that way. A decade ago our support was ageing and numbers were dwindling and we knew we had a serious issue to address. "Yes, promotion to the Premier League has helped us reverse that trend but it runs deeper than that and we have worked hard with our local community to make it easier for young people to attend our home games. "We introduced season cards for under-11s which equate to £2 per match, rising to £8.90 for under-17s, while our City 7s schemes give children the opportunity to develop an affinity with their local club. "Primary school children who celebrate their seventh birthday during the season can sign up to the City 7s and receive two tickets to a Premier League game at the bet365 Stadium, along with a replica home shirt. "The scheme, which has been in existence for 11 years now, has proved to be enormously popular with youngsters, parents and sponsors alike and once again this season we are well on course to enrol more than 1,000 children. "We're also acutely aware of the cost of following Stoke City on the road and in 2013 we became the first club to offer free coach travel to all our Premier League games. "The initiative has been well received by our fans who have made themselves increasingly heard at away games over the last couple of years and it's no coincidence that our away results have improved significantly. "I can guarantee that the debate over the affordability of football will be on the agenda again in 12, 24, 36 months' time… but Stoke City remain committed to providing the best possible value for money."